Bison and Wildcats will meet in Indy for first time since 1998. INDIANAPOLIS, Ind. 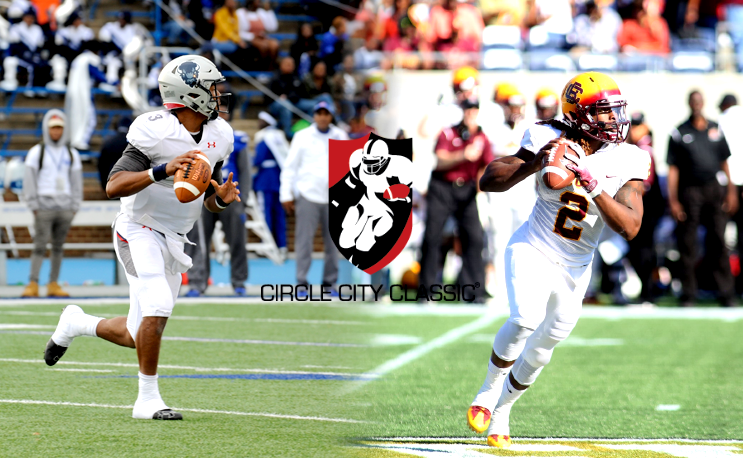 – Bethune-Cookman and Howard will meet on the gridiron in 2018 as part of the 35th Circle City Classic®, it was announced Wednesday, Dec. 13, in conjunction with Indiana Black Expo from their home office in Indianapolis, Indiana. The date for next season’s contest is set for Saturday, Sept. 22, 2018. For the first time since 1998, Bethune-Cookman will face off against Howard in a neutral venue. Once again, that venue will be the Circle City Classic at Lucas Oil Stadium – home of the Indianapolis Colts of the National Football Leagues (NFL). For Bethune-Cookman, the 35th Circle City Classic® serves as the second of three classics for the Wildcats in 2018. BCU opens the year at the John Merritt Classic hosted by Tennessee State in Nashville, Tennessee. The Cats conclude the regular season, as always, against in-state opponent Florida A&M in the Florida Blue Florida Classic at Camping World Stadium in Orlando, Florida. The last time BCU and Howard met in in this particular venue was Oct. 3, 1998, as the two teams squared off in the Coca-Cola Circle City Classic, as a crowd of 58,295 witnessed the Bison defeat the Maroon and Gold clad Wildcats by a score of 32-25 inside the RCA Dome. Despite the loss, Bethune-Cookman registered its first winning season that year, grabbing an 8-3 record. It marked the first winning season for the Wildcats since 1985. “Wildcats fans from around the country will certainly be there in support of our team and band, as we look to paint the Circle City in Maroon and Gold!” continued VP Thompson. Tickets go on sale Monday, December 18, 2017 at 10 a.m. (CST). Tickets are available at all Ticketmaster outlets, the IBE box office located at 3145 North Meridian Street in Indianapolis or via phone at call (317) 923-3037. “We are excited about this year’s teams that helped shape the legacy and heritage of the 35th Circle City Classic®. Both prestigious universities have outstanding academic and athletic programs, an enthusiastic alumni base and two of the most entertaining and sought after marching bands in the country,” said IBE President & CEO Tanya Bell. “The longevity of Circle City Classic® speaks to the importance of this event in the city’s landscape,” said Chris Gahl, senior vice president with Visit Indy. “We feel confident having these two prestigious teams participate in the weekend’s activities will not only generate additional tourism spending, it will also bring in business executives capable of racing back to Indy with their convention or corporate meeting. That’s very appealing from a tourism standpoint,” added Gahl.